SPA families and friends, come see the May Musical Theatre Revue, LOVE, on Thursday and Friday, May 17th and 18th. The show plays at 7:00 PM and will be $5 at the door. 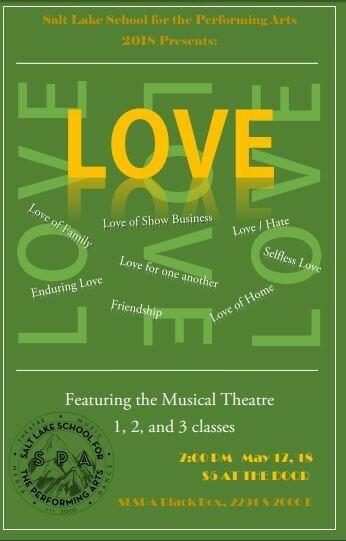 Come see SPA's three levels of Musical Theatre students and enjoy an evening of music, dancing, and acting as characters explore the many different aspects of love.